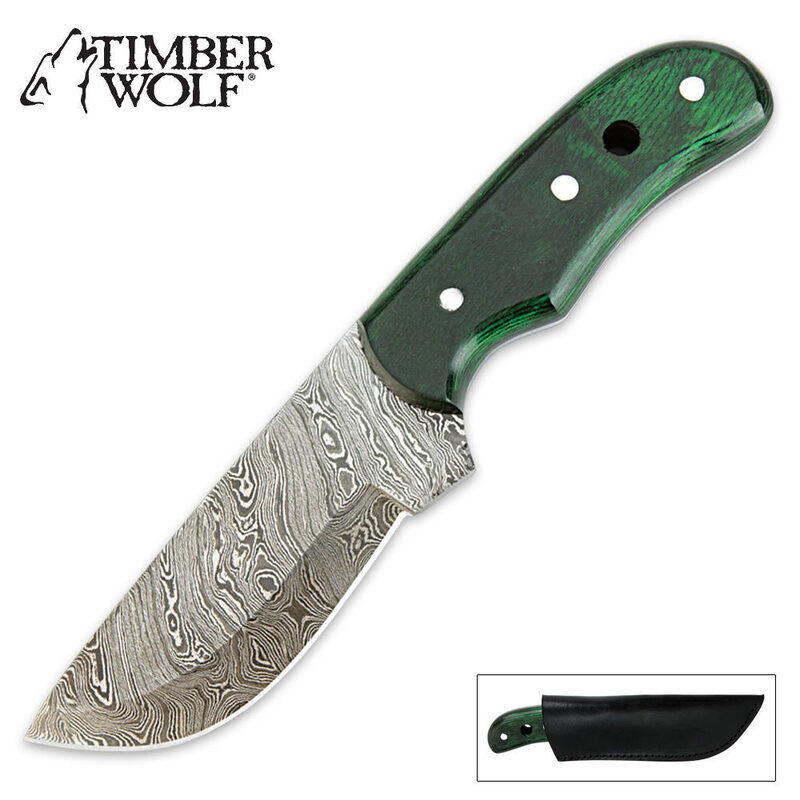 Timber Wolf Emerald Green Pakkawood Damascus Steel Fixed Blade Hunting Knife | BUDK.com - Knives & Swords At The Lowest Prices! Timber Wolf continues its proud hunting knife lineage with this exquisite Damascus steel fixed-blade hunting knife. 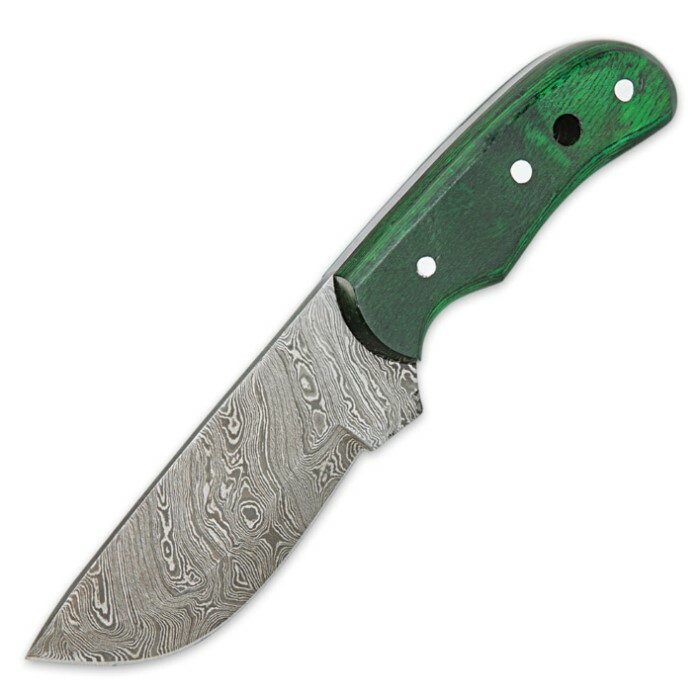 This classic hunting knife features hefty 4" drop point blade with a smooth green pakkawood handle. Polished pins add a refined look and feel to this exquisite hunting knife. It features a pre-drilled lanyard hole for quick attachment of a lanyard, and it includes a leather sheath for convenient storage and ease of transport. Good knives but the sheath's belt loop is poor quality.